Nabi & Sons 13 Flute Set Bamboo 6 Hole Key G thru G WHCS. 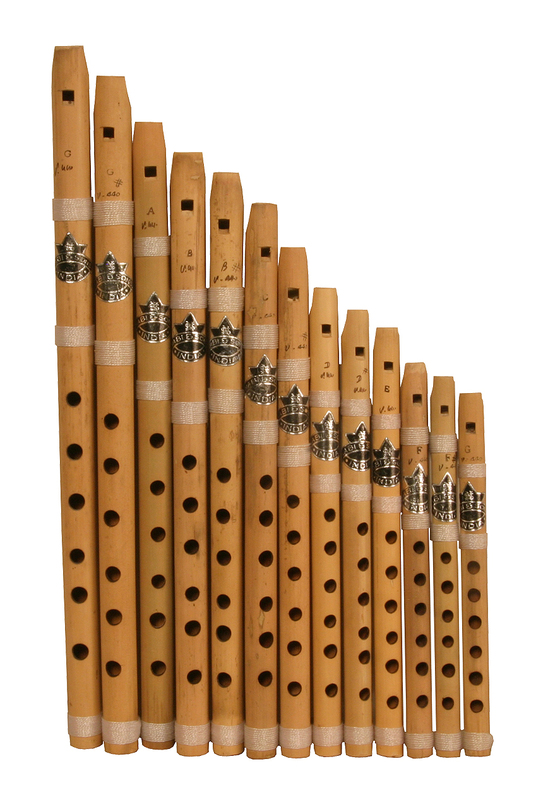 Set of 13, six-hole bamboo whistles of Middle High Pitch. Manufactured by the Nabi & sons International Flute Manufacturer of India. Notes include: G, G#, A, A#, B, C, C#, D, D#, E, F, F#, G.